The Beaver Wars between 1630 and 1698 saw a period of intense intertribal warfare around the Great Lakes and in the Ohio Valley, largely created by competition in the fur trade. The vast Susquehannock collection of tribes was a major participant, but the most important confrontation was between the Huron confederation which traded with the French, and the Iroquois league which traded with the Dutch. At first, Europeans had been reluctant to trade firearms to the natives. They restricted the number of them and also the amount of ammunition available. This restriction dissolved as the competition increased. When English traders from Boston attempted to lure the Mohawk from the Dutch by selling them firearms, the Dutch countered by providing them in unlimited numbers. Suddenly much better armed than the Huron and their allies, the Iroquois began a major offensive, and the level of violence in the Beaver Wars escalated dramatically. In the arms race which followed, no tribe had a more advantageous position than the Susquehannock. By playing on the fears of the rival European traders, they had access to whatever weapons they required, and in any amount. To say they were well-armed would be an understatement. One of the Susquehannock villages even had cannon (a single gun) to defend itself and, so far as is known, they were the only native north Americans ever to use this type of heavy armament. Having exhausted the beaver in their homeland, the Iroquois were running out of the fur they needed to trade for Dutch firearms. Otherwise, with European epidemics decimating their villages, it was only a matter of time before they were annihilated. Their enemies, of course, were well-aware of this problem and refused permission for Iroquois hunters to pass through their territories. Faced with a blockade, the Iroquois were forced into a war in which they needed to conquer or else be destroyed. They concentrated their attacks on the Huron after 1640, and started to attack the French directly at the start of the 1650s. Beaver becomes almost extinct on Iroquois nation land due to over-hunting. The Iroquois begin raiding the trade routes of neighbouring tribes for beaver pelts to trade for guns from the Dutch. Mohawk and Dutch sign a treaty known as the Two Row Wampum Treaty. War begins with the Mohawk and their allies, the Seneca, who are of the Iroquois nation, on the one side and the Wendat (Wyandot, a Huron group) on the other side. Iroquois attack Huron villages along the St Lawrence, disrupting their trade with the French. The Iroquois had driven the Huron out of their homelands. The French now trade with the Ottawa for furs. Despite the initial attacks, the Onondaga, the Oneida, and other Iroquois tribes did remain peaceful at first. 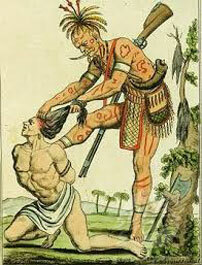 The Mohawk however, wanted to fight the French, and they controlled those other tribes. So, after Chief Canaqueese failed to negotiate a treaty, the Iroquois began attacks in New France. War parties attacked farmsteads at night, torturing and slaughtering the men and taking women and children prisoner, many of whom were absorbed into the tribe. New France residents lived in mortal fear during this period. By 1645 they had succeeded in isolating the Huron from the Algonquin, Montagnais, and the French in the east. At that point, the Ottawa began trading with the French in place of the Huron. As of 1650, the Iroquois territory ran from St Lawrence down to Virginia Colony. Forcing the Shawnee to leave Ohio, the Iroquois took control of Illinois country and expanded westwards, in turn forcing the Lakota and other tribes to move beyond the Mississippi. The Iroquois begin to launch attacks against the French, terrifying the French colonists with their ferocious and blood-thirsty warfare tactics. The Iroquois expand their territories in the west, and then attack the Neutral tribes, killing and assimilating thousands. The Iroquois initiate war against the Erie and within two years the nation is almost destroyed. 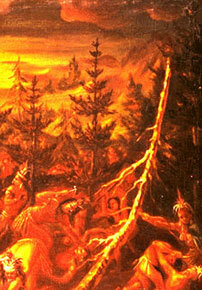 In May an Iroquois force of 160 warriors attacks Montreal and captures seventeen colonists. Following other such raids, the French retaliate with a small military force made up of French, Huron, and Algonquin to counter the Iroquois raids - there are heavy casualties on both sides. Professional French soldiers arrive in the 1660s to fight the Iroquois and adopt a scorched earth policy to starve out the Iroquois. At the point of starvation the Iroquois sue for peace. 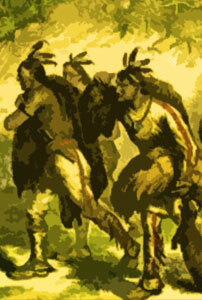 The next attacks made by the Iroquois are against the Susquehannock tribe who are allied to the English in Maryland. French reinforcements arrived in the 1660s, At about the same time, the Dutch, who were allied to the Iroquois, found themselves evicted from New Netherland by the English. 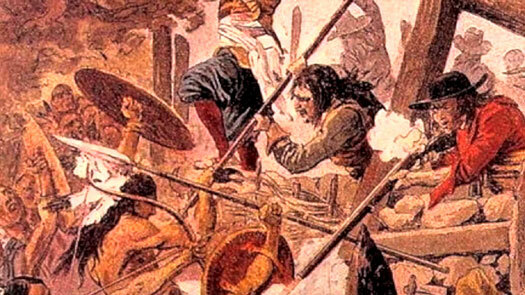 Together, those two events gave the French the upper hand for the first time. In 1666, the viceroy of New France, Alexandre de Prouville, led a group of French troops to attack the Iroquois homeland. 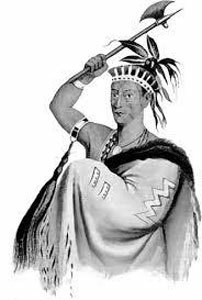 They didn't have a great deal of success, but they were able to capture Chief Canaqueese. In the same year they once more attacked Iroquois territory but were unable to locate any Iroquois warriors to attack. Instead, they burned homes and crops along the way causing many Iroquois to die of starvation when winter came. 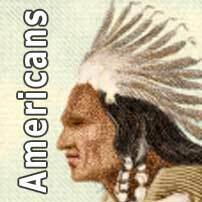 The Iroquois launch several raids against the Abenakis, who are allied to the French. A total of eight hundred Iroquois warriors invade Susquehannock land. The invasion prompts the colony of Maryland to declare war on the Iroquois. The Dutch allies of the Iroquois lose control of the New Netherland colony to the English. Five hundred French, led by Daniel de Rémy de Courcelle, invade the Iroquois homeland in present day New York state. However, the French are greatly outnumbered and are forced to retreat. A second French invasion of 1300 men led by Alexandre de Prouville, the 'Marquis de Tracy' and viceroy of New France, destroys Mohawk villages and crops. The Mohawk are forced to sue for peace. French militia units are organised and all men in the colonies are issued with guns, becoming liable for military service. Peace came eventually, and there was a two year lull in the fighting following a truce which was agreed that year when the Iroquois sued for it. However, the peaceful colony that the settlers had established in the area was forever changed by soldiers who became settlers. Their crude speech and 'rustic' manners disrupted the peace of the colony. Some soldiers left in 1667, when temporary peace was established but, at the same time, a militia was formed by the colony, including conscription for every man between the ages of sixteen and sixty-five. The only exceptions were some public officials and all members of the clergy. The Hudson Bay Company receives its charter and sets up a trading post located on Hudson Bay to which the Indians bring their furs. 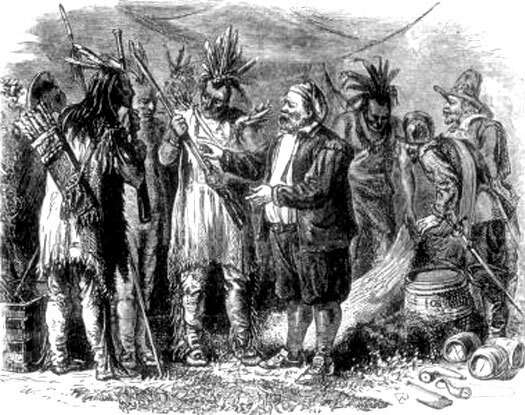 The English in Maryland change their Indian Policy and negotiate peace with the Iroquois. The Iroquois conquer the Susquehannock. War between the Iroquois is resumed due to the French encroaching on their fur trade, A violent conflict erupts against the French, with them supported by their Indian allies and the Iroquois launching sporadic raids against both. 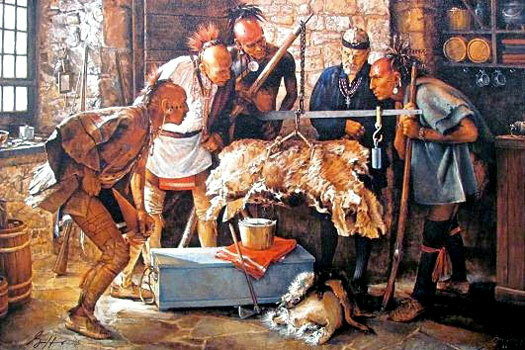 In 1670, a trading post was set up by the Hudson Bay Company, from which the Indians bought their furs. The Maryland settlers, having changed their Indian policy, negotiated peace with the Iroquois in 1674. Three years later, in 1677, the Iroquois finally conquered the Susquehannock. In 1683, Louis de Buade, comte de Frontenac, was the governor of the New France colony. He had his own agenda, wanting to establish his personal fortune by taking over the fur trade in the west. However, this was hardly in accord with the interests of the Iroquois. The war recommenced, and it didn't end until the decade after that. The social elite in the colony sought officers' commissions in both the Compagnie Franches and the militia. They participated in 'la petite guerre', a method by which they dressed like their allies, the Algonquin, and went through the forests silently, stealthily advancing on enemy settlements and attacking them violently - just as the Iroquois had done two years previously. Attacks took place at Schenectady (in what is now New York), in 1690, then at Portland, Maine, and then at Salmon Falls, New Hampshire. Those who were attacked were either captured or killed. The Iroquois realise that they are the scapegoat in what is essentially an English-inspired war and now sue for peace. The Grande Paix (Great Peace) Treaty is formalised. The Iroquois set out a policy of neutrality. Peace was declared between the Iroquois and the French in 1698. The Iroquois had regarded themselves as innocent victims, caught in the middle in a war that was essentially an Anglo-French affair. The French wanted peace, but only to fulfil their own agenda - to use Iroquois territory as a buffer zone between them and the English. English and French representatives signed it, as well as thirty-nine Indian chiefs. As part of the treaty, the Iroquois allowed Great Lakes refugees to go back to the east. They also agreed to stop raiding settlements. Shortly thereafter, the Shawnee got the lower Allegheny River and Ohio Country back and peace reigned in the region. The Beaver Wars were at an end, but far greater Anglo-French-led conflict was to come in the eighteenth century.